Hi! Hattie Jackson here - aka Hattori Hachi! I never thought I'd do anything worth writing about, let alone having my own website people might read. But what a time it's been.... My mum went missing, my dad had a meltdown and I discovered I was the last in line to a ninjutsu legacy nearly a thousand years old! I learned skills I never would have thought I could master and I met some amazing new friends - as well as several truly terrifying enemies. Jane wrote all about it in The Revenge of Praying Mantis. When that story ended I had no idea of the adventures that were still in store for me. I had plans for a lazy, relaxing summer holiday after my GCSEs. No such luck. But what happened instead, you can read all about in book two, Stalking the Enemy, which was chosen as the Book of the Month by The Bookzone (for boys). A lovely review of it was published. 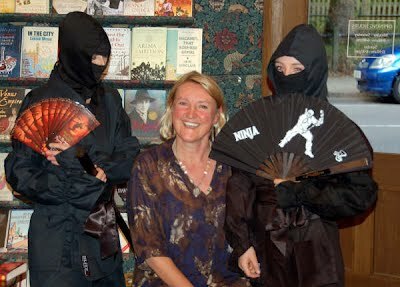 HATTORI HACHI was launched at Daunt Books in London. As we were gathering ninja clothes and weapons, my biographer Jane told us about how she narrowly avoided getting classified as a terrorist for trying to import nijitsu climbing claws from America! If you want to read more about what happened, take a look at my ninja tools and weapons page. 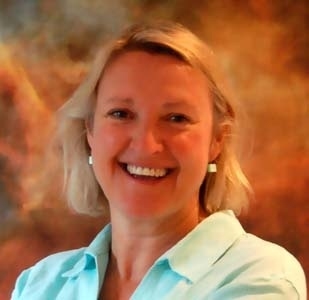 Here's a few things about my biographer Jane, as well. She works in TV and theatre as a writer and director, and has now written three Hattori Hachi books. A Ninja's spirit is as sharp as the edge of a blade!